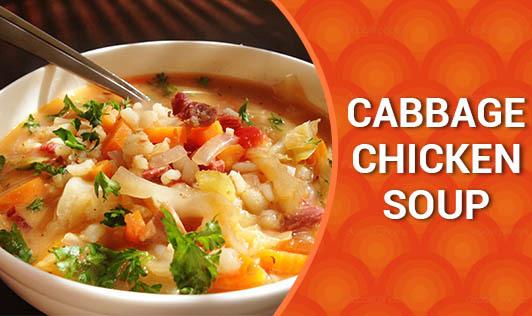 Cabbage chicken soup is rich in proteins and low on calories. It's easy to make and a wonderful recipe for weight watchers. 1. In a large soup pot, combine water, broth, tomatoes, celery, onion, potato, bay leaf and salt. 2. Simmer for 30 minutes to 1 hour. Add the cabbage, chicken, lemon juice, and sugar. Remove the bay leaf and serve. You may have this soup before your main meal. This can also be a mid-morning meal or an evening snack.